The results of a ground-breaking project into the body sizes of UK offshore workers on board various helicopter crafts has been recognised with an award for outstanding contribution to ergonomics. The three-month study was a joint project by Robert Gordon University (RGU) and Step Change in Safety, in response to a mandate from the Civil Aviation Authority to ensure offshore workers were sitting adjacent to windows through which they could make an emergency escape. The project involved measuring the shoulders of a 75,000 strong workforce to establish how many were designated as ‘XBR’ or ‘extra broad’. With these figures in mind, the team would be able to advise eating logistics which maximised the probability of successful escape, following concerns about window egress in an emergency situation. Following the project’s completion, the team has been awarded the William Floyd Award from the Chartered Institute of Ergonomics and Human Factors, for outstanding and innovative contributions to the field. 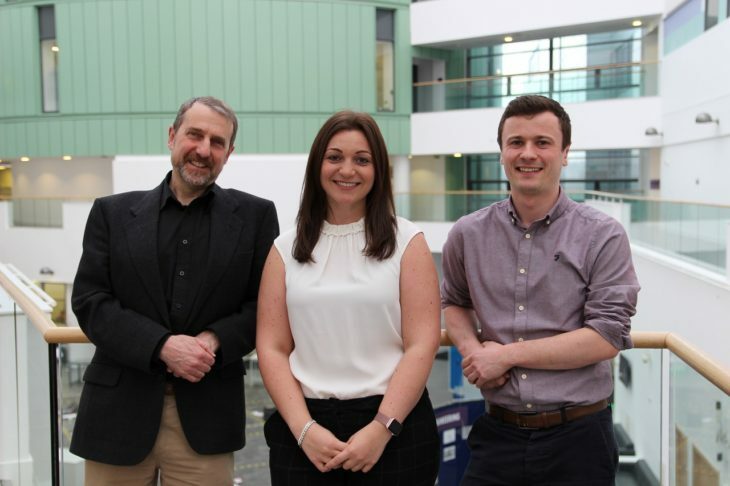 The study was led by Dr Arthur Stewart, from RGU’s School of Health Sciences, who has previously been recognised for his ongoing work into the size and shape of the North Sea offshore workforce. Speaking about this latest work, Dr Stewart said: “With the size of the workforce being so vast, I devised ‘train the trainer’ and ‘train the measurer’ teaching packages, which gave us a group of over 1000 individuals capable of gathering the measurements for us, within specified quality assurance targets. Dr Stewart worked collaboratively throughout the project with Emily Taylor, a senior business analyst from Step Change in Safety, who oversaw a range of aspects of the work, including being the central liaison with industry stakeholders such as the CAA and helicopter operators. Her work also included the marketing and promotion of the scheme directly to the workforce and licensing of equipment required. Emily said: “At Step Change in Safety, collaborating with organisations and the wider oil and gas industry is what we do daily in order to improve safety and effect change. Sticking to our ethos we came together with each organisation to deliver this important project. Also playing a key role was RGU MRes graduate Robert Ledingham, from Survitec, who was seconded to the project after previously working with Dr Stewart on his size and shape study. Robert oversaw logistics for the study and organised a number of training events for measures, is one of the trainers himself. The team accepted their award at an event held at Birmingham’s Hilton Metropole Hotel which hosted the 2018 Chartered Institute of Ergonomics and Human Factors Annual Conference last week.